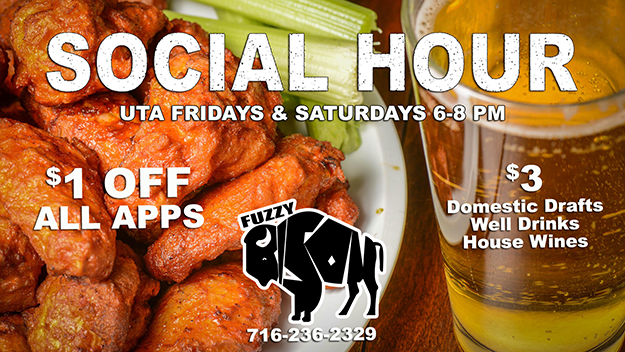 29 APR – The Fuzzy Bison bar kicks off a new program, Social Hour, with a new menu and specials from 6-8 PM on UTA Weekend Fridays and Saturdays. During Social Hour get $1 Off Appetizers and Domestic Drafts, Well Drinks and House Wines are just $3. The new menu features favorites like pizza and Buffalo wings with new additions of pizza logs, quesadillas, sliders and loaded cheese fries.